Zachary Kerner’s practice focuses on complex commercial litigation, including multidistrict antitrust and securities actions. He also brings experience with Lanham Act and other intellectual property issues. As a litigation associate at Cahill Gordon & Reindel, where he practiced under Floyd Abrams, Zach successfully represented a hedge fund involved in a defamation action brought by the owner of the Washington Redskins. A member of the New York Bar Association’s Committee on Civil Rights, he also has contributed substantially to amicus briefs in two civil rights-related appeals before the U.S. Supreme Court. 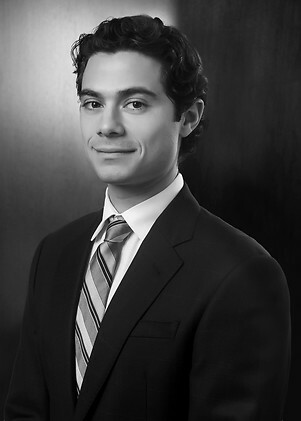 Zach has been recognized as a Rising Star in editions 2015-2017 of New York Metro Super Lawyers. Prior to joining Holwell Shuster & Goldberg, Zach clerked for Judge Andrew L. Carter on the U.S. District Court for the Southern District of New York. During his clerkship, the Judge heard a high-profile trademark dispute between Louis Vuitton and Warner Bros. over the appearance of knock-off handbags in The Hangover Part II. Zach studied in Barcelona as an undergraduate at the University of Pennsylvania and speaks proficient Spanish. A former senior employee of New York asset manager firm in civil action brought by investors alleging fraud and breach of fiduciary duty. Microban Products Company in securing summary judgment in connection with trademark enforcement action brought in the Southern District of New York. Drafted U.S. Supreme Court amicus brief on behalf of Civil Rights Committee for the New York City Bar Association in Clapper v. Amnesty International.